As a Cat Behaviorist, I understand those frustrating, baffling and even destructive cat behaviors which can often compromise the quality of life for you and all members of your household. Cats "misbehave" because they are often misunderstood, have unmet needs and/or unresolved physical problems which may have gone undetected. I will work with you to develop a customized treatment plan to resolve your cat behavior problems and restore peace to your home. Your treatment plan will be based on the results of a thorough detailed environmental analysis, a cat behavior evaluation and a medical report from your veterinarian. The root causes of your cat's behavior problems must be identified and addressed to achieve the successful results you and your family (2-footed or 4-footed) deserve. You may think you have already tried everything and feel hopeless, but the good news is there IS hope! During a Catsultation, your frustration can be replaced with a deeper understanding of your cat's unique needs and how to meet them. A Catsultation is also helpful for cat lovers who want to enhance the relationship with their cat(s) and/or wish to create the optimal environment for their feline family. 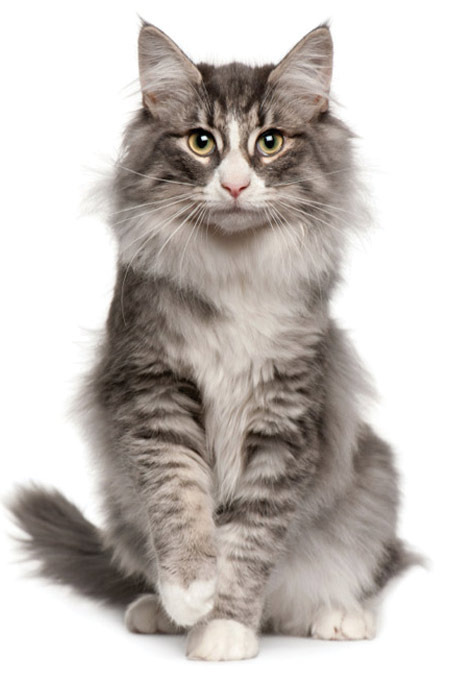 I am committed to bringing you the best and most up-to-date cat behavior information which will be particularly helpful in resolving your cat behavior problems. I am passionate about all facets of cat behavior and committed to providing you insights about your feline family and their very unique needs. Your treatment plan will be easier to implement when you understand not only the "what" to do, but the "why" behind my recommendations. The information I provide will be helpful with your current feline household and also with any future feline family additions or concerns. Take a moment to read some testimonials that my clients have sent me after I have helped them with their cats. To get started on resolving your cat behavior problem(s), please complete a short cat info form.